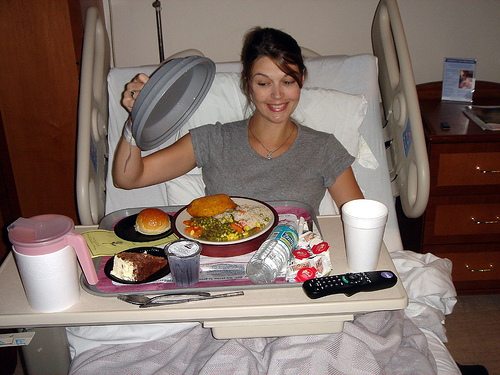 If local food is so healthy, why don’t more hospitals serve it? And if we’re so concerned about food security, why aren’t we dedicating more resources to developing reliable, sustainable local food systems? Those are among the questions a Guelph and Waterloo research group have been trying to figure out. With support from the Ontario Ministry of Food, Agriculture and Rural Affairs, researchers have been looking at the challenges and opportunities facing local food producers. And they’ve found there are plenty of both, particularly in Ontario’s health-care system. For example, they say healthier and fresher meals in hospitals and long-term care facilities have the potential to improve patient care. Ideally, they’d like to see the local food quotient in those institutions rise to 20 per cent by 2015. That presents challenges, they say, which includes actually defining local food, for sourcing and purchasing purposes. The definition — like local food itself — is all over the map. That makes it tough for something as massive as Ontario’s health care system to rally around it, when it can’t easily define, let alone find it in quantities it requires. Budgets are another matter. Hospital food budgets are $30 to $35 per patient per day — but that includes everything, such as wages and food preparation. Only $7 to $8 remains for actual food purchase. And that’s for three meals. No wonder then that hospital food managers are tempted to seek out big food suppliers that make available large, cheap and consistent quantities. I write about the need for a broader approach to local food in my Urban Cowboy column in the Guelph Mercury.